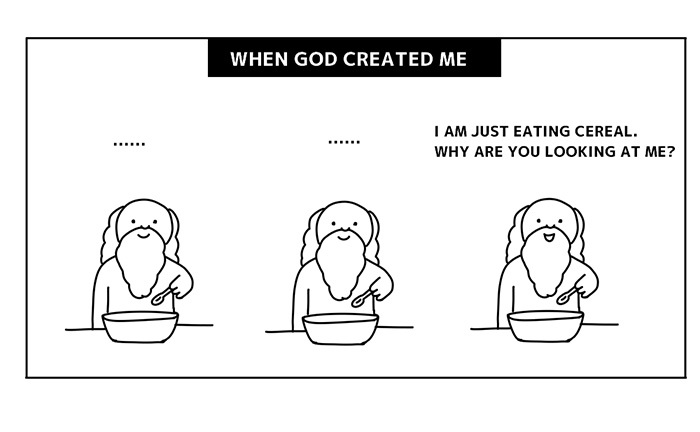 Saw lots of peoples sharing this "when god created you" post in facebook. I google a bit and found out it was original a meme from japan. I don't want to use those app, so I just draw myself the result.